John D. Hendrix was for 11 years the Basil Manly Jr. Professor of Christian Education at the Southern Baptist Theological Seminary in Louisville, Kentucky, where he inspired ministers with the joy of teaching. He has ministered at several churches in the southeast, and is now retired. He co-authored Celebrate Advent and authored Experiential Education, X-Ed. In Nothing Never Happens, John Hendrix writes in the tradition of Thomas Groome's shared praxis, calling Christian teachers to lead their students to insert themselves and their stories into that of the Bible and the historical Christian community. 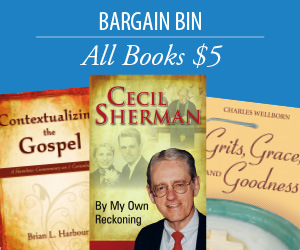 Only by doing so can the truths of the Bible matter to people today. The book is rich with both sound pedagogical philosophy and theory and thoughtful suggestions and illustrations for practical application. Teaching, particularly in today’s context, is increasingly an art form, rather than an academic discipline. John Hendrix is one of those rare few people who can invite you into the world of teaching and help you feel confident about your ability as a teacher. He has both mastered and embodied the art of teaching, and in Nothing Never Happens he paints an image of teaching in a way that few others have. Thousands of people have been equipped for learning and teaching through John’s work and the work of those who have followed him; and this book may reach thousands more. Following in the tradition of his book X-ED: Experiential Education, his newest book, Nothing Never Happens, might be the “must read” book for those seeking to become teachers or seeking to help others learn how to become teachers. Few resources better explain how everyone can learn to do more than just ‘teach,’ but to fulfill our call to make disciples. 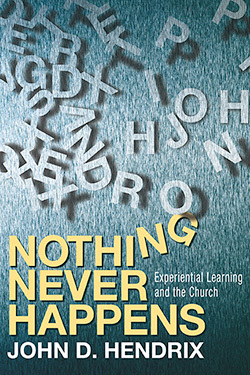 In Nothing Never Happens: Experimental Learning and the Church, John D. Hendrix has gifted educators and pastors with more than just another book about learning theories and biblical interpretation. Hendrix writes out of his passion for the scriptures and his deep, abiding love for the learner. He pulls back the curtain of routine teaching so we can see that teaching and biblical interpretation has a lot more to do with mystery and incarnation than it does with learning styles or bible dictionaries and commentaries.